At least seven fires broke out on the Central Coast over the weekend, five of which occurred in San Luis Obispo County. On Sunday alone, three fires broke out in SLO County, a 3,800-acre blaze ignited in Monterey County and a house caught on fire in Northern Santa Barbara County. On Friday evening, a fire broke out at the materials recycling center at Cold Canyon Landfill between San Luis Obispo and Arroyo Grande. KSBY reported the fire was caused either by heat from compressing or packing recyclables or by something flammable inside one of the recyclables. The blaze caused about $300,000 in damage. It destroyed some machinery, but the recycling center building is intact. 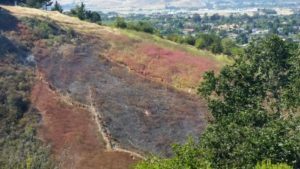 On Saturday afternoon, a vegetation fire broke out nearby on a hillside north of Price Canyon and west of Edna Valley. The blaze burned three to four acres at 6445 Corral De Piedra Road, according to Cal Fire. On Sunday, fires broke out near the Octagon Barn in San Luis Obispo, at an Arroyo Grande junk yard and at the Oceano Dunes. The fire near the Octagon barn was a roadside blaze off of South Higuera Street. The Arroyo Grande fire occurred at Timo’s Auto Wrecking at 880 Sheridan Road. The Tribune reported that the blaze burned two vehicles in the junkyard lot. The fire at the Oceano Dunes was located near the Pier Avenue ramp. Firefighters found smoldering logs and a victim in the area who possibly had a broken leg. Cal Fire did not state whether the blaze caused the victim’s injury. In Santa Barbara County, a house caught on fire Sunday afternoon in Orcutt. The house fire occurred at 896 Calle De La Rosa. Fire officials say it appears a computer inside a home office caught on fire. The fire spread to an adjacent laundry room. In Monterey County, a wildfire broke out Sunday afternoon south of the city of Soledad. As of Sunday night, the fire spanned 3,876 acres, and it was 20 percent contained. 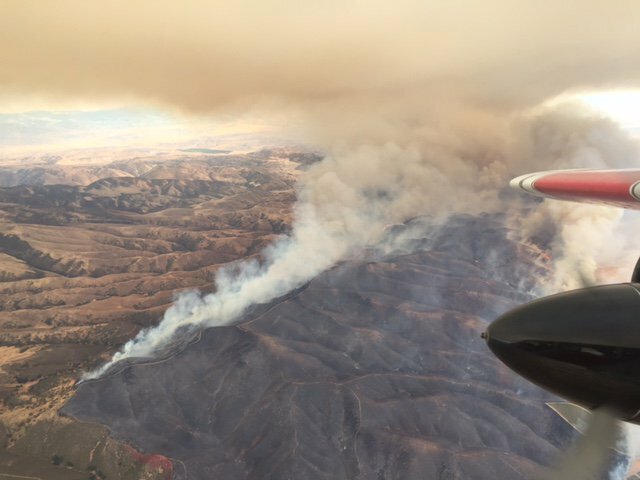 A fire also burned 3,800 acres in San Luis Obispo County last week. That blaze broke out on Wednesday at Camp Roberts after a mortar illumination round was fired into an impact area at the National Guard Post. The weekend fires remain under investigation.